There are many advantages of drinking clean, fresh water. The greatest benefit is that it keeps us alive. The fact that our body consists of about 70% water is the biggest reason why we need to keep our body properly hydrated. Our brain consists about 90% of water, our muscles 75 % and our blood 85%. When taking all these water based essential body parts an account, it is of vital importance to constantly keep ourselves hydrated. Water has many other great benefits, all of them valuable to our health and physical well being. By just having a glass of water before dinner, you will feel less hungry, and it will aid in reducing weigh. This very simple weight loss tip can dramatically aid in better health. Water has no calories, and it is required for good metabolism. Drinking sufficient clean water is essential for ridding the body of harmful wastes and for removing toxins from our blood and lymphatic systems. 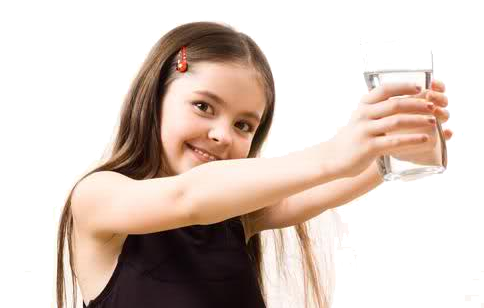 Your kidneys, bladder and colon require water to flush them out and to reduce the risk of cancers. Studies have also shown that sufficient water intake can greatly reduce the risk of heart disease by as much as 50%. Our bodies require sufficient water to transport nutrients and vitamins. We also require water to control and regulate our body’s core temperature, and it is therefore vital to keep properly hydrated. Proper hydration has many benefits, and it will aid our immune systems to fight off diseases and infections. Our bodies are reliant on water for every function that happens in it. Proper hydration will help reduce headaches, migraines and constipations. Clearly the benefits of clean drinking water far outweigh avoiding it. There is no clear divined amount of water to drink each day, but a good guideline to follow is still the recommended 8 glasses a day. Alternatively, you can drink as often as possible, or as the thirst hits you. Keeping hydrated will keep you healthy, fit and problem free.